Does switching supplier affect my credit rating? 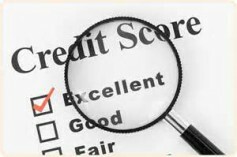 MyUtilityGenius > Posts > Blog > Does switching affect my Credit Rating? When you switch energy suppliers, you may well be requested to accept a credit check if you fail that then the energy supplier will not disregard your request to switch over to them, but will insist upon specific criteria being met in order to be your new supplier. An Energy Suppliers may insist you provide a guarantor or put down a deposit before they’ll agree to supply you with gas or electricity. This might apply to you if you are a new customer and cannot provide proof of your identity, or if you have a poor payment record. · Provide a cash deposit. If you’re not happy with the kind of financial security you’re being asked to put forward, ask your energy supplier if you can provide security in a different way. Your annual energy use is estimated and you pay this amount by equal instalments throughout the year. If the energy company requests you to sign up to a regular payment plan, check the terms of the scheme carefully. For example, how are the payments worked out and what will happen if you build up a credit or go into debit? If you want to pay by direct debit, an energy supplier may well ask you to go through a credit check. You will need to give your permission for the check. Failing the credit check may have a negative impact on your credit score. If you have a prepayment meter, it’s normally prepaid with a token, key or card that you can buy or top up. While pre-payment meters can be a useful budgeting tool if you’re on a low income, they are normally the most expensive way to pay for energy and your choice of suppliers as well as tariffs is limited. If you’re not happy with having a prepayment meter and are confident you can pay your bills, ask whether the energy supplier will let you join a payment plan or put down a deposit instead. However, if you have a poor payment record, a prepayment meter may be your only option. If you’re asked to name a guarantor, the supplier will check whether their record of energy payments is satisfactory. The guarantor will be legally responsible for paying your energy bills if you don’t pay. In practice, the supplier will only require the guarantor to pay the bill if you don’t pay and cannot be traced. The supplier will review the arrangement after one year. At that point, if you have paid your bills in full, a guarantor will no longer be necessary. If you are unhappy with having a guarantor or you don’t have anyone prepared to act as your guarantor, ask if you can join a regular prepayment plan, go onto a prepayment meter or put down a deposit instead. If you’re asked to put down a deposit the most you can be charged is the two highest quarters of energy used, which will be estimated by the supplier if necessary. The supplier must request a ‘reasonable’ amount as a deposit. If you believe that the amount of the deposit is unreasonable, take the matter up with the supplier. If you are still not satisfied, you can make a complaint (see the complaints procedure). The energy supplier will review the deposit after one year. If the bills have been paid in full, your deposit will be returned within two months of the end of the year.